The middle of a story requires greater definition than the beginning or the end. Many writers break narrative down into Three Acts. After all, what could be simpler than Beginning, Middle, and End? Unfortunately, this idea that the “Middle” somehow stands equivalent to Beginning and End leads many to write incomplete and broken stories. But isn’t everything a Three-Act structure? Everyone knows how the first Star Wars movie ends, right? Moments before Luke Skywalker completes his run, the ghost of Ben Kenobi tells the young farmboy to turn off his targeting computer. 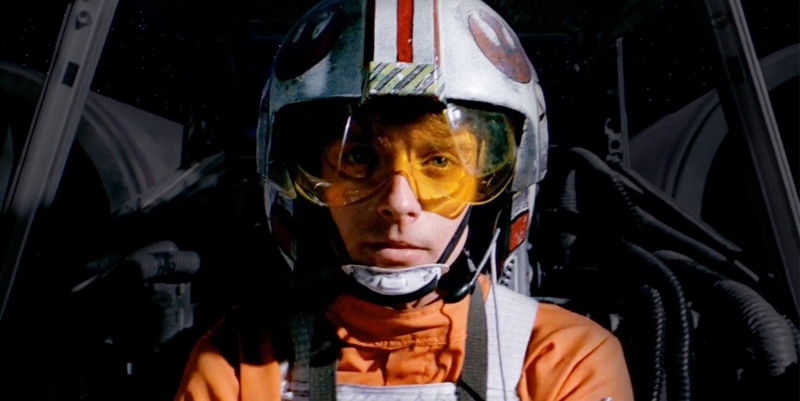 Against all better judgment Luke complies, and ends up taking that one perfect shot that destroys everything. At that very point in time, Luke replaces his motivation to Test his skills with the drive to Trust in something other than himself. This Change of Resolve completes his character arc and saves the day. This act proves the message of the film that by trusting in something outside of yourself you can do impossible things. Now, here’s the interesting part: that final moment in the trench only works because of the TIE-Fighter Attack Sequence during the escape from the Death Star shortly after Ben’s sacrifice. One of the purposes of story is to show us the appropriateness and inappropriateness of taking certain actions within different situations or circumstances. The central purpose of an Act is to provide a context for problems the characters face. When a story shifts from one Act to the next, that shift the Audience feels is actually a shift in context. Four contexts, four Acts. Understanding to Learning to Doing to Obtaining. You need to cover all four when writing a story where physical Activities–like laser gun fights, light sword duels, and spaceship battles–depict the kind of conflict within the story. Each of these Acts provides a context for the central problem of Test in Star Wars. In Act One, the Empire boards a consular’s ship in an attempt to test what they can get away with. In Act Two, the Empire tests the destructive force of the Death Star on Alderaan. In Act Three, Luke and Han test themselves against the Empire…and the Empire provides a semi-challenging test to make it look like they were trying to stop them from escaping (not really). In Act Four, the Rebels test their collective strength against the Empire. After that fourth context, there is no other place for the story to go. One can’t provide another context for Test within the greater context of problematic Activities. The only thing you could do is start another story, and start the process all over again. Or you could do what Luke does and stop testing and start trusting. This is why stories require four Acts to function as a complete narrative. Jumping from Learning to Obtaining skips an essential area of exploration. In fact without that Doing context, Luke’s final gesture would appear meaningless. Some successful stories skip context in order to force the Audience to synthesize their own understanding. 2017 Best Picture Moonlight takes this approach. Jumping from Chiron’s act of violence straight to his new life as Black, the film skips over explaining progress in the Overall Story. What happened in the interim? And more importantly, where did Chiron get the idea of putting up a front? By leaving these questions up to the Audience to both formulate and answer, Moonlight makes the experience of watching the film deeply personal. Instead of being force-fed a montage of growth and personal re-invention, we supply our own history of development and self-actualization and become a part of the story. Star Wars is not Moonlight. If Star Wars skips over the experience of Luke testing himself against the TIE-Fighters from within the Millennium Falcon, no real dilemma–no real choice–exists when it comes to turning off the computer. In order to successfully provide Luke with the quandary of deciding whether or not to turn off his targeting computer, the narrative needs to grant the boy an opportunity to see testing actually work. The story needs to show Luke a context where Test functions as expected. That way when Ben pipes up and sticks his spiritual nose into the final sequence, Luke has reason to doubt the Old Man and refuse. “Hey, I just showed that I can DO it by myself–I already passed the test, “ he thinks. Why not leave the targeting computer on and see what I can do. Leaving key portions of the “Middle” out works for a film like Moonlight because of its intention to create a deeply personal and subjective experience. For Star Wars–and for a majority of films out there–breaking the Middle down gives greater context. The Beginning sets the potential; the End reveals the outcome. The Middle functions as transition between the two–a journey that shifts context from one location to the next. To equate the Middle with the previous two is to deny its very essence as a passage of greater meaning and understanding. Authors use narrative to communicate a message–to argue that a particular approach to solving problems is better than another. The passing through is very bit as important as the final result. By fully depicting the implications of deciding to go one way or the other, Authors ensure their message–or argument–rings true and remains in the hearts and minds of their Audiences.